It is early morning, and you find yourself heading towards one of your favorite places; your kitchen for that morning coffee. You drag yourself in, pull out a cup of coffee from the cupboard, pour that warm, delicious brew, and prepare to get the day started. As you stand there, you look up at the cupboard and notice now warn it is. As a matter of fact, the paint is chipped, and the brackets are loose. You start to look around the kitchen, and you notice that there is actually a lot of things that could be done to fix it up. You think to yourself, “Do I paint or do I sand stuff down?” Then you start to think that perhaps you can completely renovate and get those new cupboards that your significant other keeps hinting at. The more you think about it, and the after talking it over, you realize it’s DIY Renovation time. Now you can call someone in, like a reliable and highly recommended contractor to get that done for you, or you can take an exciting move and go DIY on your kitchen. You have some experience in the past, and you have an itch to do something in the house that you will do with your own hands, a little elbow grease, time, effort, and save a few bucks in the process. Here are a few things to consider before you get started that could help you make a final decision on what direction to go in renovating at your home. What are you looking to do? Kitchen? Yard? How much time do you have to work on this project, and more importantly, how much do you have to spend on your renovation? Make sure you ask yourself these important questions, and if needed, spend a little time and some money on talking to, and getting advice from a professional such as a team member at a local retailer, or a professional contractor to know every detail of your DIY renovation. You will need to make a list of all products and items needed for prep, what will be needed during your renovation, and what you will need for clean up. You will also need to make a list of all tools needed, and then make a realistic timeline to get your project completed. 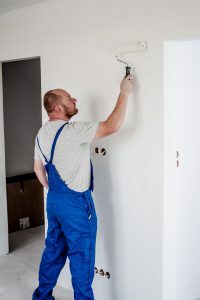 By doing this, you will be able to learn right away if what you want to do with your DIY renovation is perfectly set up to start, or if it is something to plan for the future. Just like anything else you do in life, it is extremely important to take a look at what you are planning to do, and to understand your skill set, your time, and your budget. Be honest with yourself, and if you have any doubts or fears on completing your project perfectly, you may need to plan accordingly. Yes, you want to learn, and you want to do your project to help you save money, and to say you know how to DIY. It is a great feeling, and a great accomplishment when the renovation is done, and you can smile at the work done, however if you spend the time and money only to find out that you can’t do it right, or make matters worse, then you are going to have to spend more, and take more of your personal time to fix it. There are parts of your renovation that you can do yourself, and there are some areas that you can hire someone to come in and help you. Working with a professional will help you accomplish your goal, and they can set things up so that you can do the things that your skill set holds. There is a lot to consider with budgeting a DIY Renovation. You will need to make a huge checklist of products needed to build, sand, paint, dig, etc. You will need to add to that your costs for any tools you do not have, and of course any other small items that will be essential for you as you start, all the way to finishing your project and cleaning up. Are you going to bring a contractor in to help you? Are you going to need to hire someone to dig or demo? What about all the debris removal that will need to be done after your project is done? Yeah, all of this will not only take time, and it will take some money as well. Take some time to talk to people who have walked in your DIY shoes. Talk to homeowners who know the process of renovation and have had to learn some things along the way. Their knowledge, experience and suggestions to you can be your biggest ally as you get started on your own DIY renovation project. Depending on what you learn in researching your DIY project, could alter the plan you started with! Get the best Debris Removal bags in the business! Demobags has three different bags depending on your needs. Learn more! This is one area that can be extremely important to your success. Sure, there are going to be some items or tools that are going to be completely subjective to your liking. Some areas of your renovation you are going to have to be precise on the type of product you are using. Make sure you pay attention, and if so, pay a little more for the items that could help you save time, and big headaches. Have a lot of Debris Removal after a demo? Make sure you use items such as Demobags woven contractor bags that can hold up to 90 lbs, are tear and water resistant, and are eco-friendly. Make sure you are timing your demo with bulk pick ups, or by using a service such as Haultail to pick up your debris for you! There is so much to consider in starting your own DIY project, and planning, knowing what you need, and knowing what you can handle will save you a lot of time, money and headaches before you start. Now go get that project done! Find Demobags at a Retailer Near You!